1. Clear the Clutter Weekly. Don’t wait for springtime to do all of your desktop cleaning. To keep your office desk tidy year-round, spend a few minutes every Friday tossing or filing old papers and putting loose objects where they belong. 2. Find storage solutions that don’t make you cringe. Desk storage is a necessity, but it doesn’t have to be an eyesore. From file cabinets to bookshelves, look for pieces with both form and function to foster your creative instincts. 3. Keep cords out of sight. Nothing will taint your beautiful workspace like a tangle of cords. To keep loose cords at bay, Feed cords though a hole drilled in your office desk, and mount a surge protector on the underside. Or, if you’d rather manage cords sans any permanent damage to your furniture, use Velcro strips or zip ties to secure them into an organized cluster. 4. Pick pretty stationary. Call us old-fashioned, but we’re nothing without our notepads. If you still like to jot things down with good old pens and paper too, invest in post-its and other pretty paper goods. 5. Accessorize. Investing in desk accessories that you actually like is as important as finishing off your outfit with that statement necklace or perfect pair of earrings. So if you’ve had your eye on a Lucite paper tray or printed pushpins for a while now, go ahead and indulge in your desktop cravings. Coordinating containers not only look pretty, they’ll help keep you organized, too. 6. Make an inspiration board. Instead of letting loose papers flutter around your space, keep a board of all the odds and ends that inspire you. A bulletin board is also a great place to pin small details you might otherwise lose like photographs and business cards. And while virtual boards are nice, nothing beats seeing it all in front of you while you work. 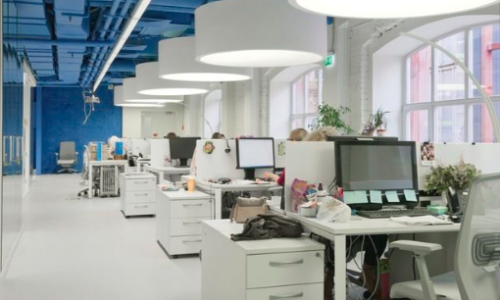 Do you have any of your own tips when it comes to organizing your workspace? When we’re in need of a little extra of desktop inspiration, fresh flowers usually do the trick! Christmas competition with Ideal Furniture. Your office furniture solution. 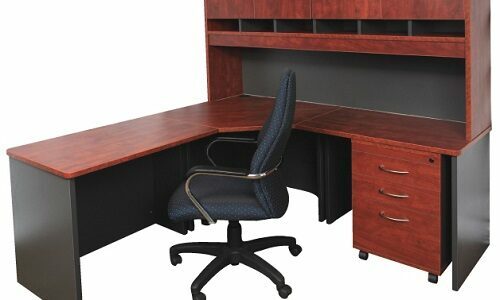 This weekend we have great deals on all <a href="https://www.idealofficefurniture.com.au/" title="office furniture"